Check in here to see the latest blog update from ETNZ on their first race (or non-race, depending on your viewpoint) An incredible display of power and speed which ever way you look at it. 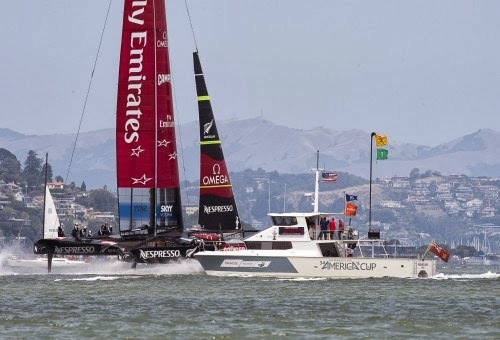 The promise of whats to come makes the Americas Cup an outstanding spectacle to follow. Special mention must go to the race committee boat... the 16.5m Powercat, along with the Catalyst45 tender, is another workhorse of the Americas Cup proudly produced by Salthouse Boatbuilders.